That would mostly depend on the religion that I belong to. If am a Christian, I will take my saviour to be Jesus, if Muslim, I will enchant Mashallah!! Or if I am Hindu,...........................................???? Well, that calls for a lot of explanations, though, the name to enchant would simply (!) depend on various factors like my caste, sub caste, and which name and mythological heroics that I am influenced with. But despite all this, if for all the Hindus, there should be some common thought when it comes to God and that is none other than Lord Krishna. Lord Krishna, the hero of Mahabharata, transcends to a story of good versus evil, of families in turmoil, of jealousy and betrayal and at the heart of it all, a quest for the truth. It is a theme based story line that all of mankind can relate themselves to, at one point or the other, for believing that the Truth always triumphs, (“Satyameva Jayate”). Bhagavad Geetha talks of Krishna as a philosopher who eventually explains facts of his life in guiding Arjuna and motivating him to regain the ruling power to Pandavas. Kurukshetra becomes a learning ground for Arjuna to deal with reality rather than being worried about his own relatives he was fighting against. Krishna, meaning “the dark one”, shines as a super human more because of his vivid thoughts which made him distinct from the crowd. Krishna danced on the heads of a poisonous snake, which depicts that he enjoyed encountering enemies skilfully. Changing beliefs is a tough game. When it comes to worship, it is hardly possible. Krishna convinced all residents of gokula to worship Govardhana mountain which has proved helpful to them in many ways, rather than sticking to the traditional way of worshipping lord Indra. Whether he held the mountain and rescued the villages or held all of them under a shelter of a cave in the mountain, the act clearly upholds a trendsetter and a leader in him, despite which, when he fearlessly fought against Kamsa and won, he sacrificed his throne. 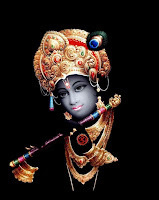 Krishna was the mastermind behind the whole Kurukshetra war. He could also have become a King when the war was over, but yet he kept himself away from throne. This shows that he was not power hungry. Or if he would have craved for ruling over, the divinity and power of sanctity would rather be ruled out. From the relationship per say, he was a kind human being, animal lover and a friend in need, as he had helped kuchela generously in his bad time. Krishna and Radhey’s eternal love is a symbol of selfless attachment. They did not get married with each other, but yet till today have a huge mindshare when any discussion pops up about divine love. He is a kind of person that anyone can crave for, when it comes to love, protection, care and security. From the political perspective, he very well knew that playing with emotions is the best way to deal with anyone being diplomatic. That was what he did when Karna was told his birth secrete, Bhishma was made to surrender his arms and accept death, Favoured his disciple and friend Arjuna. On Krishna Janmashtami today, it was a try to elicit the mythological hero in brief. Whatever the discrepancies regarding Lord Krishna are, one cannot deny the fact that the managerial, political, administrative prospects and planning of Krishna are valid even today and we have tons to learn from him throughout our life.